It's the holiday season and you know what that means; COMFORT FOOD! And we need it fast! This week's menu brings all the flavor as well as warm and cozy vibes. 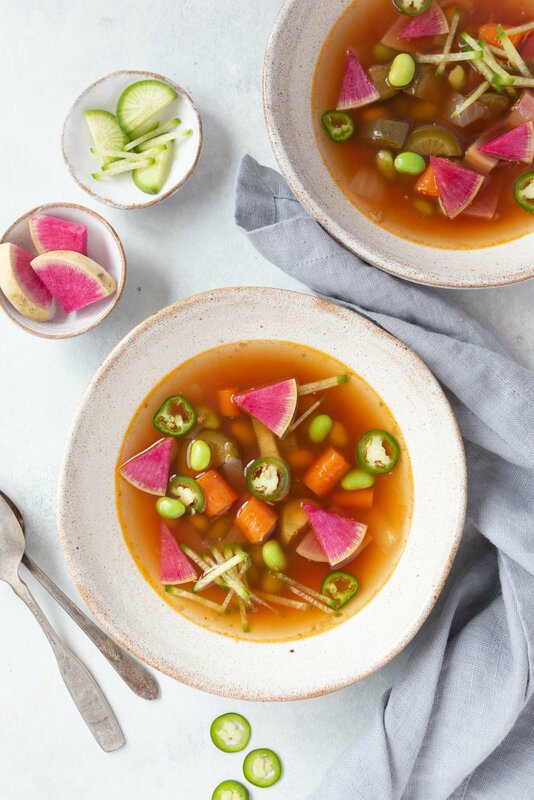 Spend your Sunday making this delicious bone broth and then cozy up to this ultra rich soup. Your kitchen is going to smell amazing! Feedfeed Tip Add leftover chicken, turkey, or steak for an extra kick of protein. 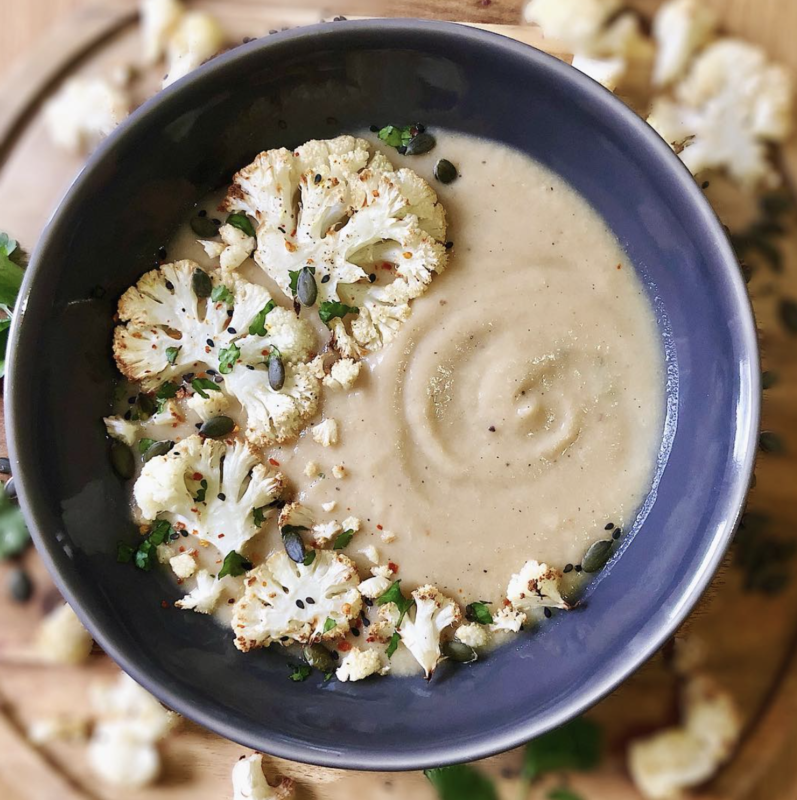 Feedfeed Tip Be sure to roast the cauliflower until it turns golden brown. This will add a wonderful, rich flavor to your soup! This creamy bowl of polenta is the ultimate winter dinner. Topped with a crispy fried egg, this easy dish comes together in less than 30 minutes. Running out of dinner ideas? 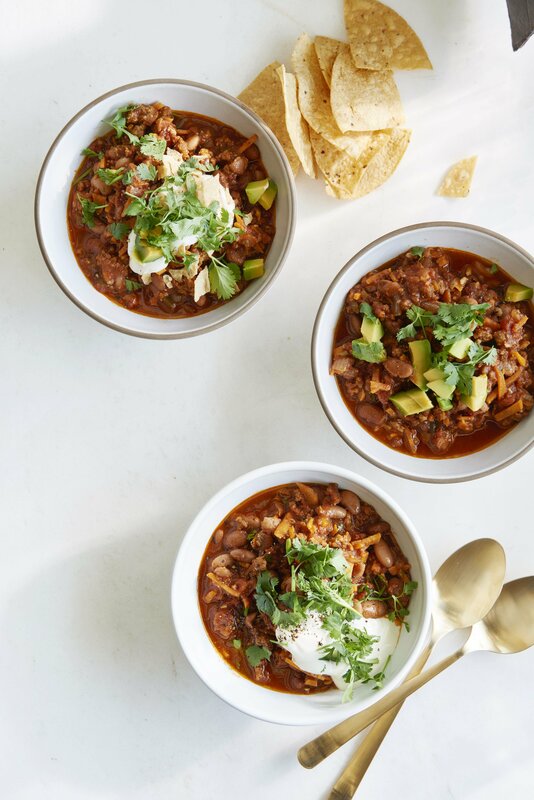 Chili is here to pull you out of your dinner rut! It's all about the toppings–don't be shy with the avocado, Greek yogurt, fresh cilantro, and GF chips! 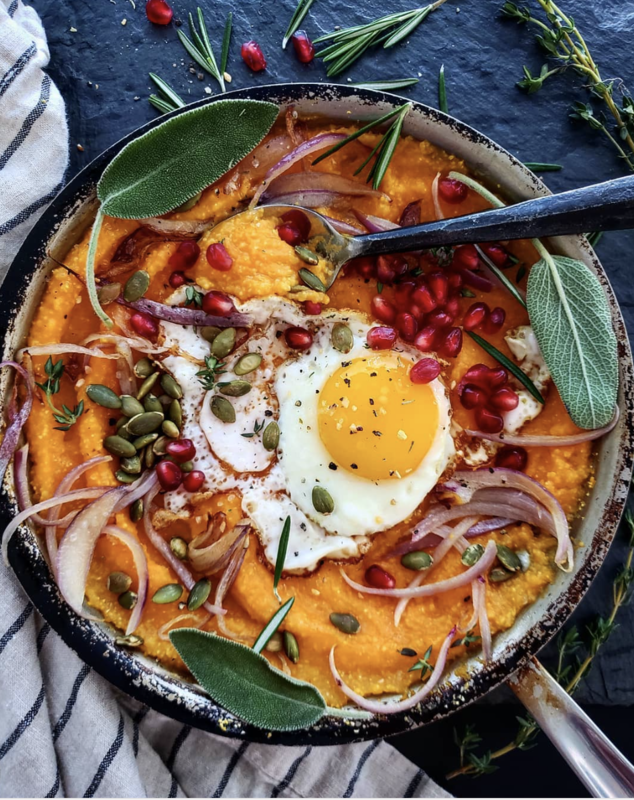 Feedfeed Tip Have some leftover pumpkin from yesterday's polenta? Throw it in this chili! 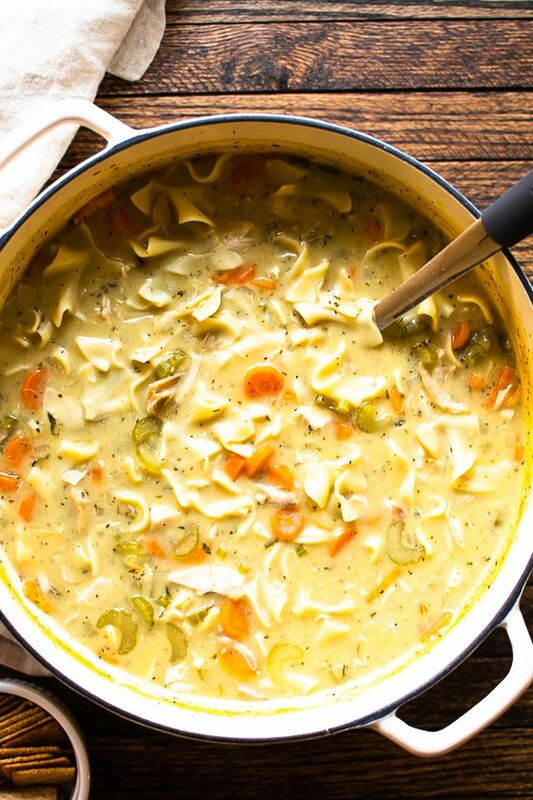 Creamy yet light, this one pot wonder was made for chilly evenings! 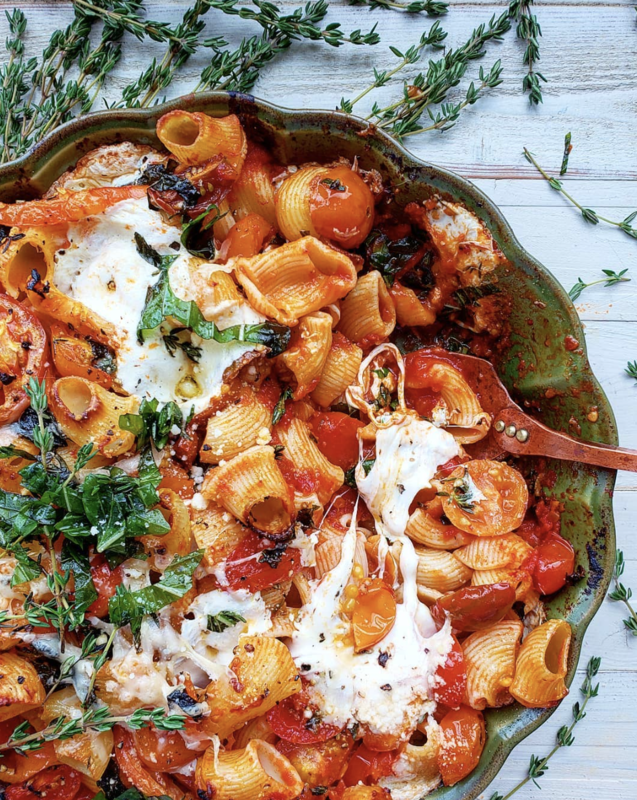 Pasta, cheese and leafy greens? Yep, this one passes the test!! Anyone craving some chocolate? 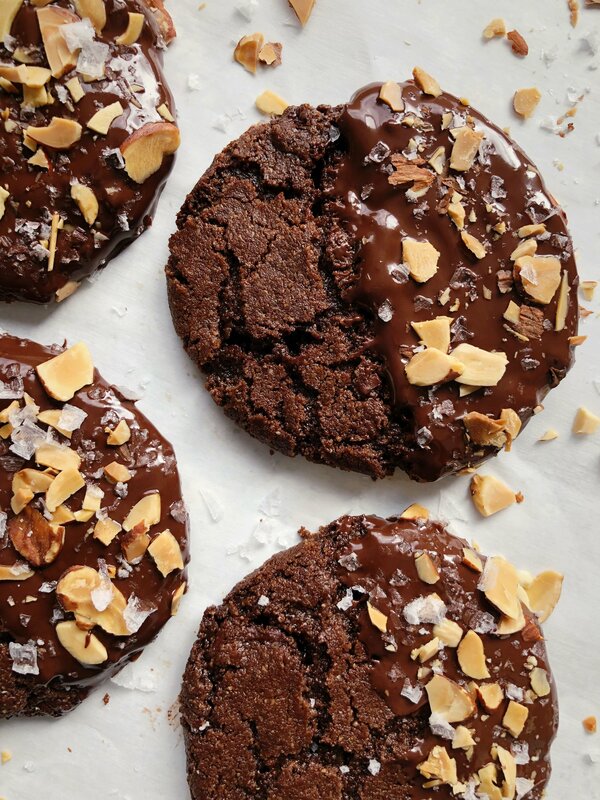 These rich treats are the perfect salty-sweet dessert. We highly recommend dunking these guys in a tall glass of milk.